Part four of Maximilian's "WEEK OF!" 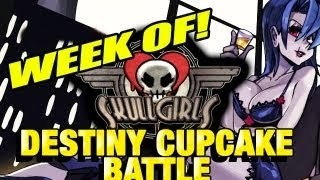 Skullgirls has surfaced. Watch how the fourth installment unfolds inside. Maximilian continues his "WEEK OF!" Skullgirls with part four. Max has been taking to the PC version of Skullgirls online. For the first three parts, click here and here.